Comments: this trial is FULLY documented here. This is an inapplicable “motor” vehicle statute. The judge and deputy said some/many bad things. Since this ticket was issued by a Coco Sheriff’s deputy, neither the Flag PD nor the City Attorney’s office was involved in any way. The only link, other than that it occurred in Flag, is the Flag Municipal court. Comments: this story is FULLY documented here. There was much bad and disappointing behavior in this story — NONE of it attributable to the cyclist. Comments: Note the “Speed less than resonable”, 28-701E is inapplicable to bicyclists. Full details here including the absurd police report here. Comments: don’t know the details. Comments: i only know sketchy details — the cyclist “had words” (and horns, i expect) with a motorist. Sometime later a crash (minor, as i understand) occured between the motorist and cyclist. The police arrive and arrest the cyclist for criminal damage, along with the other two citations. No word on whether or not the motorist was arrested also. “Criminal Damage” is a relatively serious crime. The charges seem to have been filed by police simply on the say-so of the motorist. At trial, the cyclist was found guilty of Criminal Damage, and responsible for the 28-815A, not responsible for 28-724. Appeal CV2012-00145 Superior Court Judge Mark Moran’s Order: The finding of responsible for 28-815A is left standing, the criminal charge is vacated “The Court finds that there is insufficient evidence presented in the record to sustain the Defendant’s criminal conviction for a violation of A.R.S. §13-1602(A)(1), criminal damage. Court finds as a matter of law that the State failed to produce evidence beyond a reasonable doubt at trial that the Defendant possessed the necessary mens rea for the crime of criminal damage… The Court vacates the finding of guilt on the charge of criminal damage” (emphasis in original). Comment: Criminal Obstruction AND Littering? Really? I have no further info on this. Comments: You have to read them to believe them; I can only find the current meeting minutes online, so i have pasted them as a comment to this blog article. Comments: I don’t know anything about this one. i’m thinking this MAY be the one involving a “drop lane” next to a bike lane, that transitioned to a right-turn-only lane. If so I think the ticket is technically justified; but the officer showed bad judgement in issuing it in the first place — i.e. cyclist’s speed was high (big downhill), the alleged impeding was 100 feet; there was no other, other than the police vehicle, traffic. see picture. Comments: cyclist will probably appeal the 815A. I mention, again, that 701E cannot apply to bicyclists. And most importantly, the cyclist was aquitted of the criminal obstructing charge. The prosecutor espouses a clear motorist-superiority point of view., see comment below. Note that this incident was immediately after the incident, above. The police report is available. The criminal obstruction charge should never have been brought. According to the report, traffic in the lane that the cyclist was supposedly impeding was traveling approx 20mph (the posted limit being 30), while “it should be noted that (the cyclist) appeared to be riding casually and not actively peddling”. Maybe. 20mph. In any event the judge tossed out that bogus charge. The criminal obstruction statute is for those with “no legal privilege”; cyclists in transport clearly have a legal privilege to use the roads. The police officer certainly should have known that. The prosecutor obviously should know that. Yet there was a full-blown criminal trial. What a huge waste of city resources. The only potentially legitimate charge here was the 815A. There was no question that the cyclist entered the number 1 (i.e. “left”) lane legally, as traffic was stopped in the number 2 (i.e. the right, or curb lane) lane. 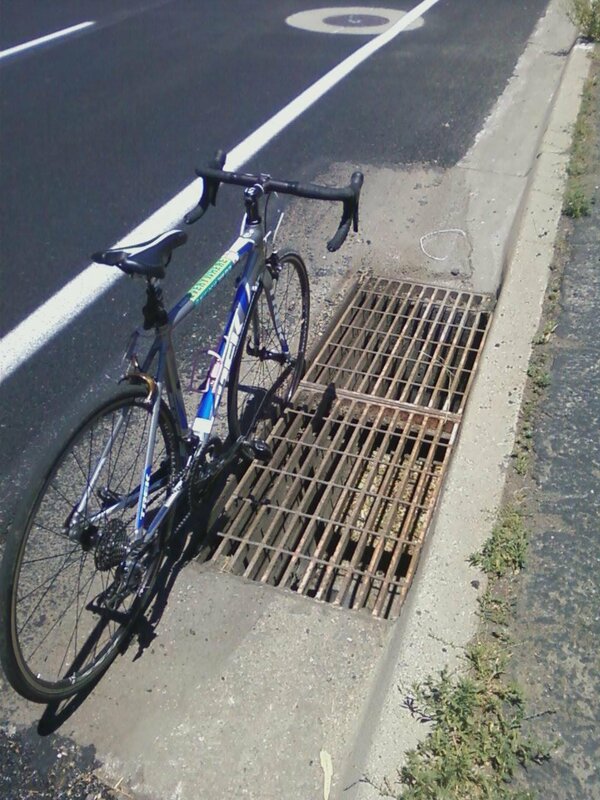 The only issue remaining was whether or not the cyclist could have returned to lane number 1 sooner. Comments: Cyclist is beginning appeal. See comments below for excerpts from trial transcript. Comments: don’t know any detail. cyclist is beginning appeal. Comments: Charge #1 has apparently a section of the local ordinance that has been repealed (city council vote Dec 20, 2011), and appears to have taken effect no later than 1/19/2012 (30 days after the council approved it). This is an egregiously discrimatory rule against bicyclists. The second charge, 28-730, is an inapplicable “motor” vehicle statute. Sigh. 8/2/2015 News article: Sharing the road: FPD launches bike safety campaign. 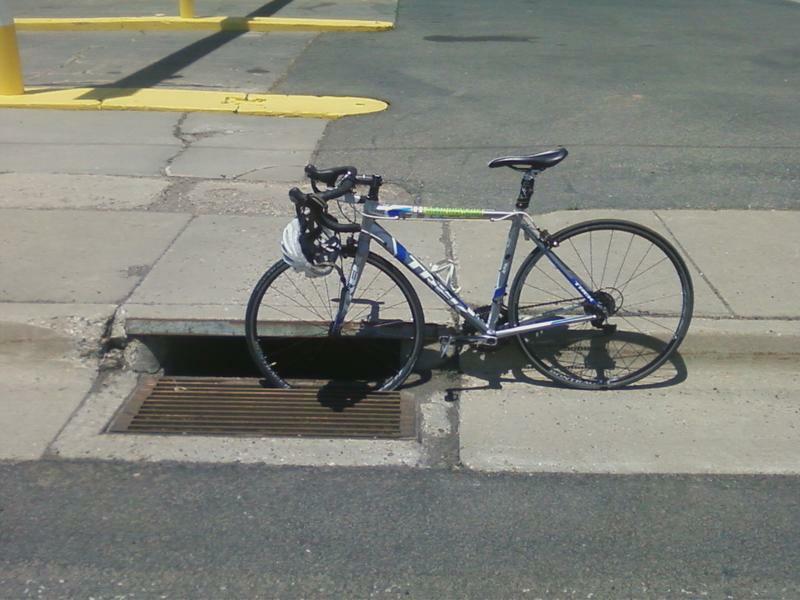 Yes, the photo accompanying the article depicts a bicyclist riding literally IN the gutter. Comment: Except the 2/7/2011 incident, all charges of this have involved cyclist in a clearly narrow lane; in other words, exeception 4 should have been applied. Comment: Criminal code. Can only apply to someone who has “no legal privilege” to be on the roadway. Comment: This came up only once, with the bike-bus incident. Very disturbing police behavior. watch the video, and judge for yourself. ordinance: Section 9-05-001-0005. paragraph D “Wherever one or more lanes of a roadway have been designated and marked as bicycle lanes, bicycle riders shall use those lanes and shall not use the roadway”. Another section 9-05-001-0016 states that “Once having entered a bicycle lane, no person riding or operating a bicycle shall leave such lane except at intersections; provided, that such person may leave a bicycle lane upon dismounting from a bicycle, walking the same…”. Is this a joke? I’m afraid not. 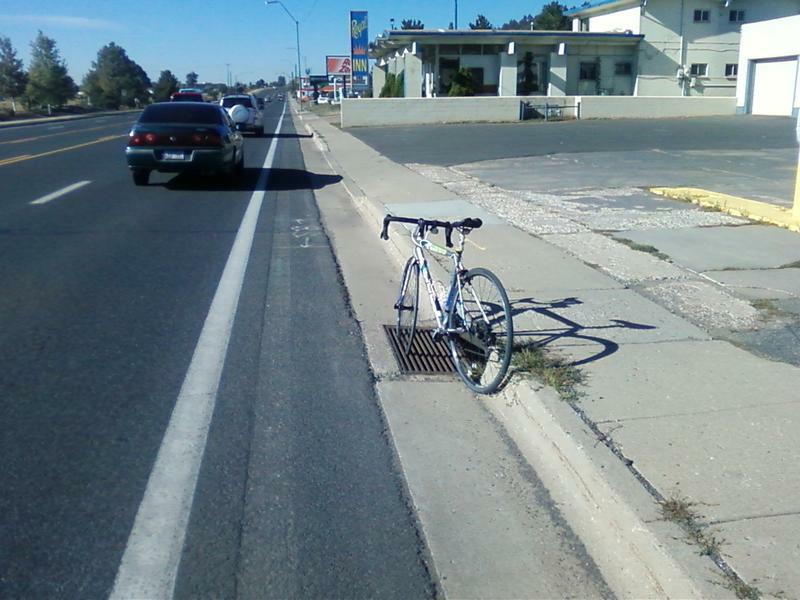 According to the city of Flagstaff, if there’s an obstruction in a bike lane, you must, stop, dismount, and walk around it. Really. On Dec 20, 2011, Flagstaff city council gave final approval (but effective date is unclear) to a major revision of the bicycle ordinance that removes most or all of the truely objectionable/discriminatory junk that lurked in their local ordinances for decades, since 1973! 1. 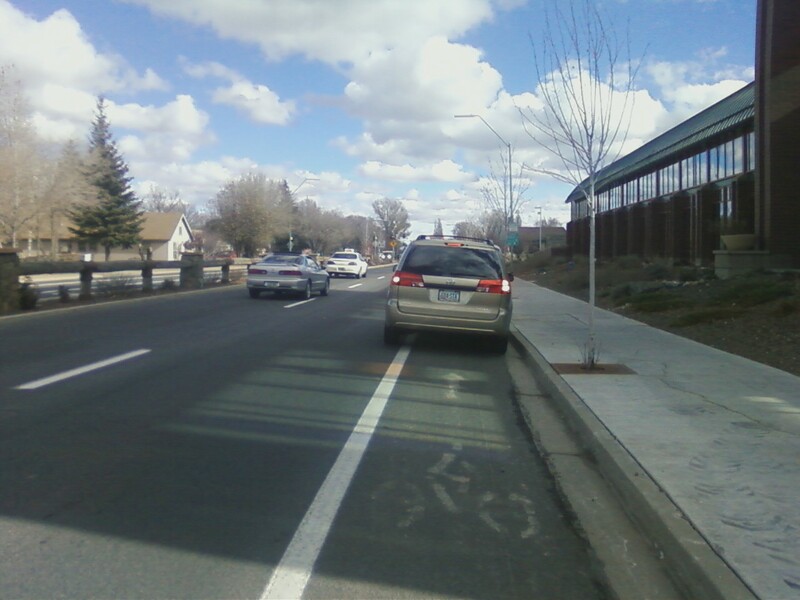 Enforcement of Traffic Laws for Bicyclists — A cyclist reported that he has received six citations to date for violations of ARS 28-815(a), which requires bicyclists to ride to the right unless one of several exceptions are met. He said that some of the citations have been dismissed by the court. Several of the citations have been along the same stretch of road (Route 66 near Switzer Canyon Drive), and several have been issued by the same officer. He said there is a dichotomy between the law and how the law is enforced, and asked the Committee to consider an education program for law enforcement personnel. There was a brief discussion about ARS 28-815(a), including a discussion about court cases and federal guidelines for when taking the lane is warranted because it is too narrow to travel side-by-side with motor vehicles. The Committee asked the cyclist about whether he rode in the shoulder that was striped for bikes along both sides of Route 66, and whether he used the FUTS [a bi-directional, seperated sidepath, multi-use trail] trail along the south side. The cylist responded that the shoulder appears to be too narrow to meet minimum standards, and that an ADOT report [see this comment] found numerous crashes with motor vehicles along the path. 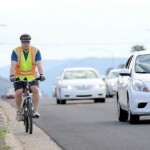 The Committee discussed circumstances when a cyclist might be better served not take the lane, including on high-speed, high-volume roadways, and when it serves to antagonize motorists. The ramifications of these rhetorical questions in closing is mind blowing to Mr. Brown! Mr. Brown: I mean, if Milton Road, which is by the Officer’s estimation 10 to 11 feet, is not wide enough, based upon, again, (the cyclist’s) estimation, then is there and keep in mind, that is one of the major thoroughfares through town with — the marked lanes, four — two lanes in every direction from the center turn lane — what roadway in town is going to be sufficient width in his estimation? State submits there might not be one. In which case, if we follow that a line of questioning, what’s to stop (a cyclist) from riding in the middle (of a) lane on any (indiscernible) in town whatsoever? (Q) So, okay. Did you observe that I was wearing a seatbelt on my bicycle? MR PRYZBY: I intend to pursue the distinguishing factor between a vehicle and a motor vehicle with the requirements thereon. THE COURT: Is there a legal difference in this case that you would assert between a motor vehicle and a bicycle? MR BROWN: technically speaking, your honor, 28 – 101 definition of vehicle excludes vehicles that are human powered. But 28 dash 12 states there person riding a bicycle has all the rights and subject to all duties applicable to a driver of the vehicle, subject two chapters 3, 4 & 5 of total 28 except those that have no application. The defendant in this case was cited under 28 – 701E which states a person shall not be on a motor vehicle speed is less than the reasonable and prudent of existing conditions. THE COURT: Does the state think that the bicycles a motor vehicle? MR BROWN: No your honor. THE COURT: Do you believe a bicycle is a motor vehicle? MR PRYZBY: No your honor. What about the case months ago in June 2010 where the city attorney prosecuted and lost on the same statute, didn’t they read the statute then? MR. BROWN: Ok, let’s say you are the first or second vehicle if you’re — a bike at the intersection. The light’s red. Traffic’s stopped in this direction. Traffic’s moving this direction. What would be to stop you from coming across this way, going in the crosswalk and (indiscernible) curb right there. And there — would be no obstruction at that point. (i.e. he is unaware or denies that 10 to 11 feet is too narrow to share). He also testified that the area was posted for a minimum 30mph speed (obviously incorrect — he meant, and he was given the opportunity to correct himself, but did not that the posted maximum speed limit was 30. Does an LEO really not understand this is a posted maximum?) he refers repeatedly to the a right and required speed: “You (the cyclist) weren’t allowing traffic to travel the right speed, the required speed”. Why does the Flagstaff City Attorney’s office take such an unusual amount of interest in these cases? It is exceedingly rare for a City Attorney to litigate a civil traffic ticket — yet they have. Again and Again. Why? See rule 12. Why won’t the City Attorney allow reference material to be introduced into evidence? E.g. Arizona Street Smarts? (this is published by ADOT for cryin’ out loud). See Rule 17. 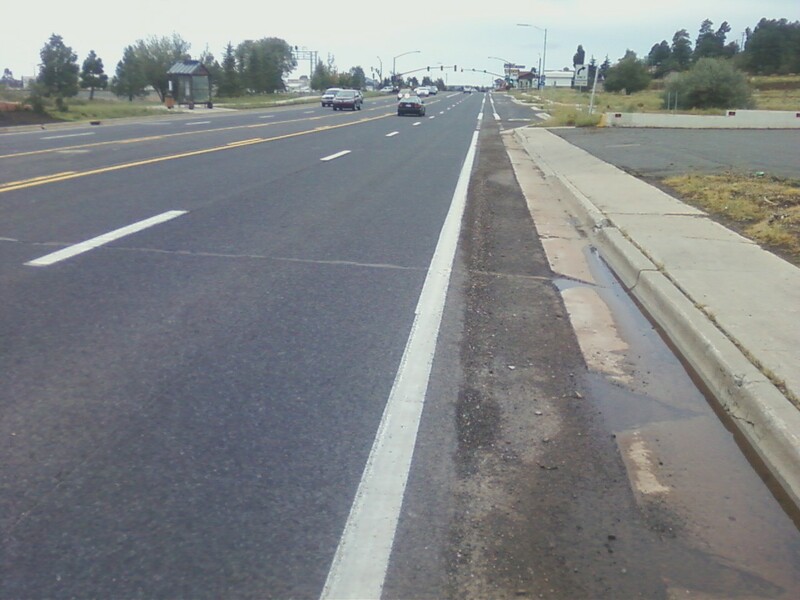 Q: …do you happen to remember the ASSHTO guidelines for minable — minimum shareable lane widths…? It’s pretty simple. The answer is 14 feet. He elsewhere testified the lane there is only 11 feet. much was made of the supposedly 3′ of consistent shoulder; however Link said “I believe there is less than three foot of asphalt shoulder available.” (in some areas). And so we get to the crux of the matter, from Mr. Brown’s closing argument (p. 66) “the three foot wide asphalt shoulder and can you see — actually it’s a bike path separate from the roadway on the south side of the roadway”…. if only the cyclist would use the shoulder, or the seperated sidepath! 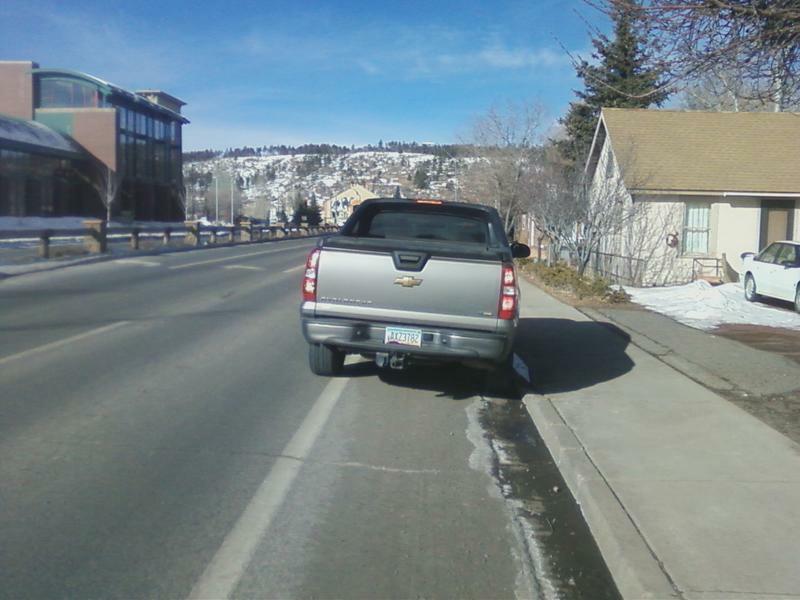 “…And then we see (the cyclist), by his own admission, smack dead center in the lane with this car — with this truck here behind him probably not knowing what to do in the circumstance” Imagine! not knowing what to do? 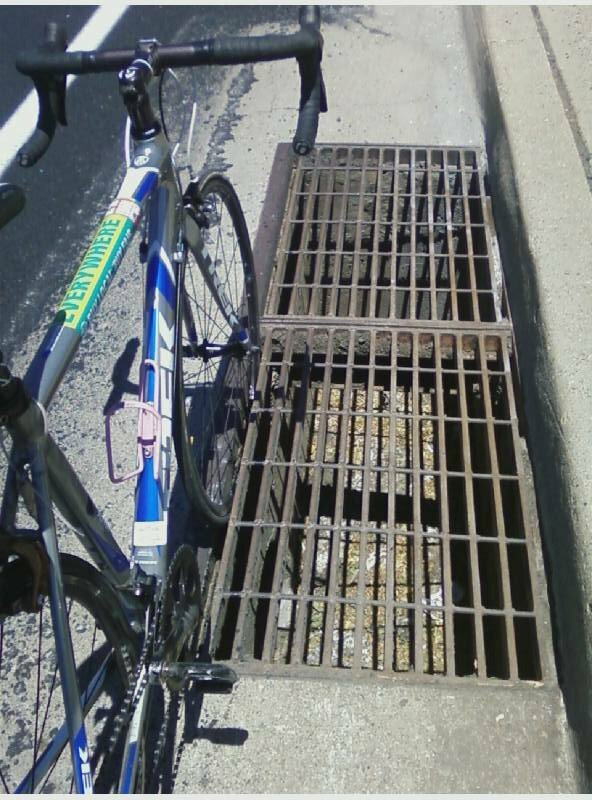 “There was evidence that there was a bike path on the south side of that road where you could have safely ridden, operated your bicycle”…”And you continued on with that dangerous behavior, endangering not only yourself but other people on that roadway that have — that could have been involved in accidents by trying to avoid hitting you. 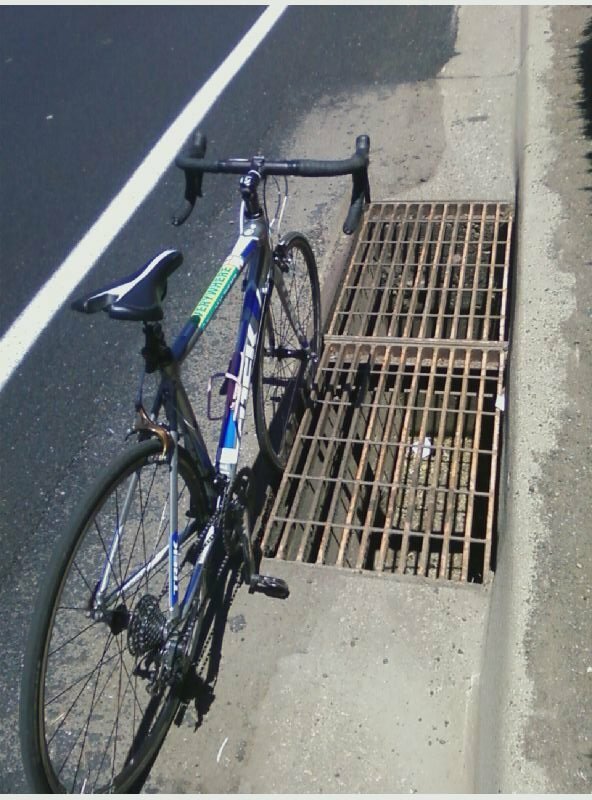 If there’s no bike path, that would be one thing, but even then you should have been off when the speed limit is so much faster than what you were able to ride… There was a bike a path and for all of those reasons, that is why I did find that you are guilty.” (of criminal obstruction of a public highway). Can you say: legislating from the bench? (the mandatory bike path law was repealed some 22 years ago). As for the Bates affair, Bates was prosecuted for operating within the law but outside what Texans, including, especially Texan police and prosecutors, thought that the law should require of cyclists. Being prevented by judges from prosecuting Bates for violating the FTR law, those persons prosecuted him for reckless driving, and won. However, there was no evidence at all that Bates was driving recklessly. Indeed, the only evidence presented was that from persons who were hindered, by Bates’s action, from their pursuit of driving recklessly. (August 2011) Eli Damon harassment lawsuit in federal court, story. copy of the lawsuit. Once again, a statutorily lawful act has been ruled a criminal act. All hail the mighty motor-car and the culture of speed! Too bad the judge didn’t read this. It’s been cited before on this blog. Young and Monteverde in car 2202 roughly 1:35pm. I had been straddling the lane line on rt 66, and at one point moved laterally to avoid a poor surface (edge). the south side of the road. I asked them why I “should” and one (Monteverde) said to the other “you know what, just give him his ID back”. I believe he (Young) had begun writing me a warning. was, and thought that bicyclists “ought” to use bicycle paths. uncondtionally. Why is/was ‘Safely’ omitted from new city code? Here are the two sections, first the long-existing ARS 28-815A; and the new (Dec 2011) Flagstaff code Section 9-05-001-005A. Not the omission of the word “safely” in subsection 4 of the new city code. 3. If reasonably necessary to avoid conditions, including fixed or moving objects, parked or moving vehicles, bicycles, pedestrians, animals, snow and ice, or surface hazards. 4. If the lane in which the person is operating the bicycle is too narrow for a bicycle and a vehicle to travel side by side within the lane. 5. When proceeding straight, through an area where a right-turn is permitted, in order to avoid conflicts with right-turning vehicles. C. Persons riding bicycles upon a roadway shall not ride more than two (2) abreast except on paths or parts of roadways set aside for the exclusive use of bicycles. CC: Council Members, Vice Mayor, and Martin Ince. The Coalition would like to again extend thanks and congratulations on updating your City’s bicycling ordinances this past December. 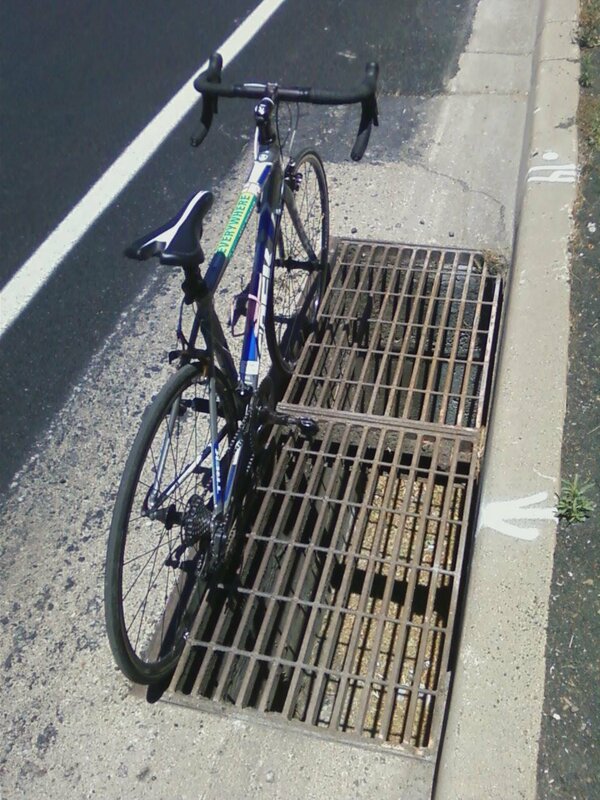 If the lane in which the person is operating the bicycle is too narrow for a bicycle and a vehicle to travel safely side by side within the lane. If the lane in which the person is operating the bicycle is too narrow for a bicycle and a vehicle to travel side by side within the lane. 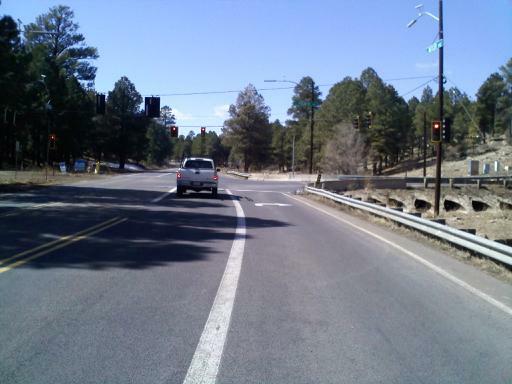 The section read at face value indicates that cyclists in Flagstaff may not consider safety when deciding whether or not a lane is too narrow to share. The Coalition would like to see ‘safely’ restored as soon as possible, which would then bring your code into harmony with Arizona Revised Statutes. Please advise; feel free to contact us with regard to this or any other matter affecting bicyclists. This was unearthed from a very old Flag BAC meeting minutes July 2007 — This doesn’t sound right; the bit about how a city code “takes precedence” over state statute “in case of a conflict”. Um, I don’t think so. A better way to say it is if a city code is in conflict with state statute, then that city code is null, void, and unenforceable. 28-626B “A local authority…Shall not enact or enforce an ordinance or regulation in conflict with this chapter…”. I also disagree with the BAC’s logic of duplicating state statutes in city codes (see comment directly above this one) — it can only lead to shenanigans. provided to the BAC in their agenda packet. There was a question about the applicability of City Code and state statute, and which prevails when there is a conflict. Messrs. Ince and Craig answered that City Code takes precedence on City streets, Arizona Revised Statute (ARS) takes precedence on State highways, and if ARS addresses a situation that City Code does not, then ARS is applicable even on City streets. Mr. Welch stated that he has been involved in several court cases concerning bicyclists, and that the judges rely heavily on state law. Ms. Grimes stated that most of the dangerous roads for bicyclists are State highways, and asked about the time frame for the planned transfer of control of these roads from the State to the City. There was a brief discussion about the process and time frame for turning State roads over to the City. Regarding bicyclists in crosswalks, Mr. Craig suggested that the status of bicyclists as vehicles or pedestrians be clearly defined in the code. 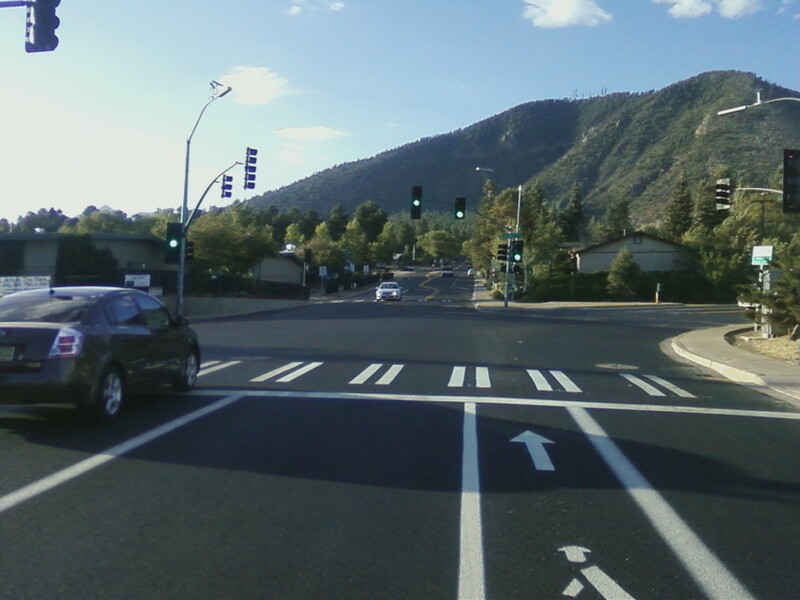 Mr. Blanchard said Boulder uses warning signs for motorists where trails cross streets, and Tom Bida said that these may be used in heavy traffic situations. Mr. Welch said that the code and signing would be used to determine fault in accidents. Regarding a requirement that bicyclists travel no faster than pedestrians through crosswalks, Mr. Blanchard thought it would be difficult to enforce and determine whether or not a bicycle was speeding. Mr. Bida said that crosswalk safety could be improved by an audible signal. similar to divided pathways like the one though the NAU campus. 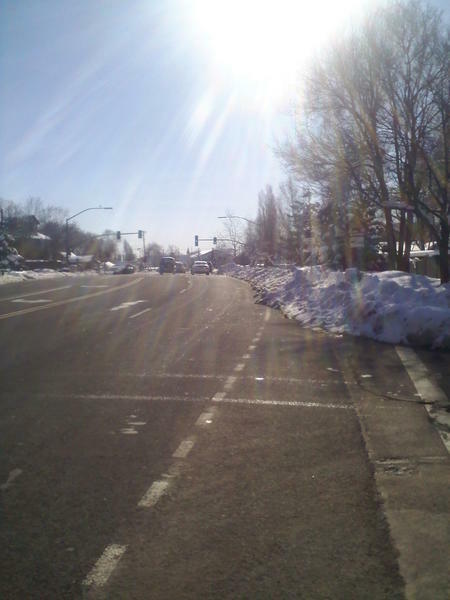 Mr. Craig responded that there was probably not sufficient width in a typical crosswalk. A question was raised about motorized vehicles and how they should be treated in City Code. There was a discussion about whether or not it was necessary or desirable to include provisions in City Code when it is already covered in ARS. Following discussion, there was a consensus that there was some benefit in including provisions in City Code even when included in ARS, primarily because it would help educate bicyclists about rules of the road and it would guard against future changes in ARS that the City has no control over. Ms. Grimes asked about the applicability of Code to unicycles, adult tricycles, and other pedal vehicles. After discussion it was agreed that definitions are an important part of the new Code. It is very boilerplate, and shows no signs that he understood, or even read any of the facts in the present case; simply concluding “This Court finds no legal error”. 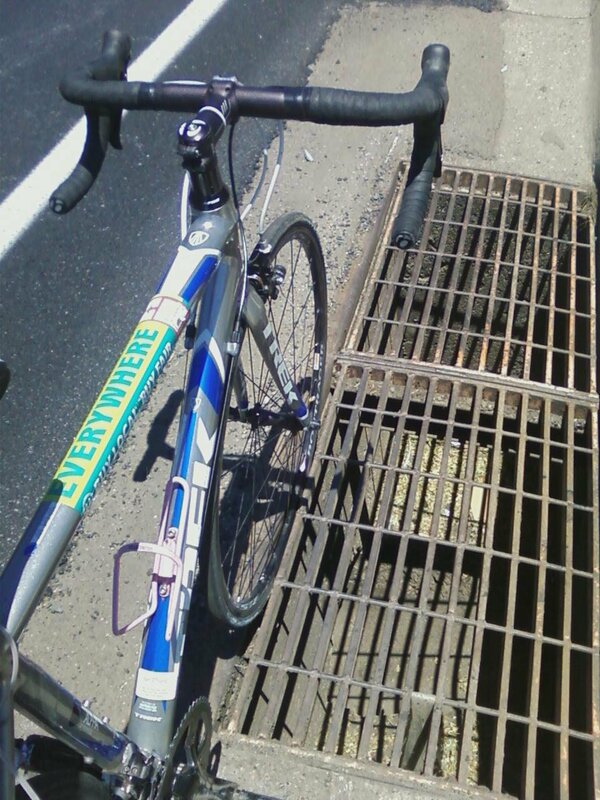 On 2013-08-13, I was given a “verbal warning” for crossing midblock, not between adjacent, signalled intersections. My dog pooped on the sidewalk and I crossed San Francisco St south of Butler to the east to throw away the bag. PEDRO SANCHEZ III stopped me, claiming that I violated some (unidentified) law requiring that I use a crosswalk. That could either be a misapplication of ARS 28-793(C), or 28-646(A)(2). The latter is arguably valid. I was not at the intersection, but the statute applies whenever crossing “in the direction of the signal”. I was denied a copy of the written warning, and not allowed to read its content. Right of Speed: verbatim trial testimony of a police officer — could a professional police officer really not understand the difference between the terms maximum and minimum? or was he lying, or otherwise misrepresenting the truth? You be the judge. A Speed limit says 30. Q Let me start again. Was the procedure followed to establish a minimum speed limit on that section of Milton Road? A I don’t understand what you’re saying. Q A minimum speed limit –was it posted? Established? Thirty miles an hour? A minimum speed limit? A That is the speed limit there. You’re on (indiscernible). You’re backing up traffic, then you’re not going reasonable and prudent. In which you were doing. Q (Indiscernible) minimum speed limit is posted? A It’s 30 miles an hour. MR. BROWN [the city attorney]: Objection. Asked and answered. THE COURT: He answered it. You can argue whether you agree with it or don’t agree with it later, but he answered it. The word ‘included’ in this context refers to counting as a length of sidewalk. 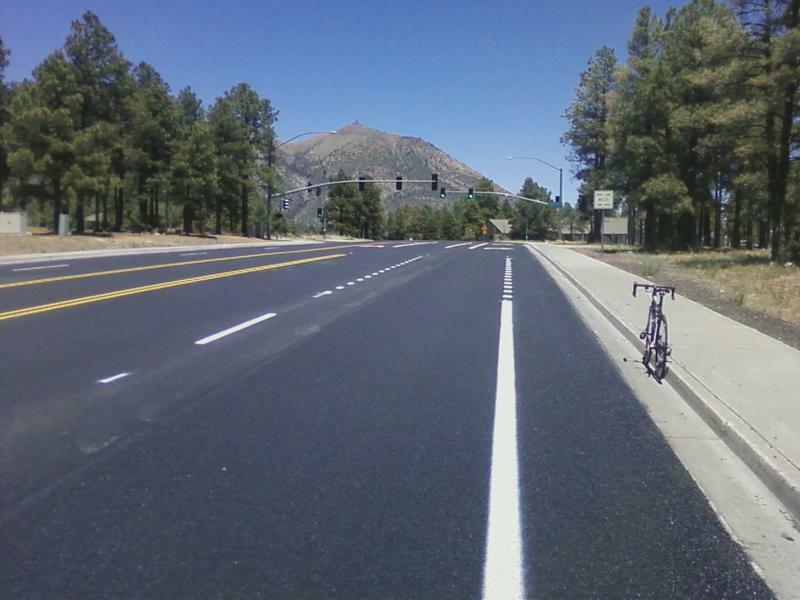 Flagstaff is designated Silver level Bicycle Friendly Community. Rt 66 has a 2-3 ft wide shoulder adjoining an adot sized gutter, and there’ll be quite a few people threatening to run over if you try to point it out. Rt 89 I believe has exactly one BL marking (in one direction) and perhaps one BL sign (in the other direction).